I believe the most profound shift in the mental health field over the past decade or so has been learning more about the wonders of the brain. 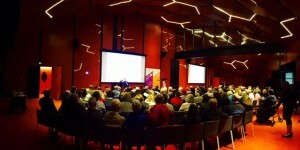 This was the focus of my recent talk at the Geelong Library, entitled “Building Better Brains – Inside our Minds”. Judging by the large numbers who attended, it is clear that many people are especially interested in the wonders of our brain functioning and further ways of promoting our mental health and wellbeing. Our new understanding includes recent findings on neurogenesis and neuroplasticity, or the capacity to form new brain cells, and to dramatically modify the connections between them, right throughout the lifespan. We have also learned more about brain health and the benefits of regular vigorous exercise, a healthy diet and good sleep. We now know much more about ways of influencing our brain chemistry apart from using medication. These findings are relevant to such things as helping ward off or reduce the impact of dementia, how to more effectively overcome such conditions as phobias, post-traumatic stress and depression, how to better manage pain and how to enhance recovery after stroke. We have also learnt remarkable things about placebo effects, which account for approximately 75% of the benefit of antidepressant medication. Given that 10% of Australian adults take antidepressant medication every day, it is clear that many people could benefit from a greater understanding of placebo effects. It used to be thought that if people would benefit from a placebo, or sugar pill, that they must have a weak mind. We now more fully appreciate the potential human capacity to positively alter our brain chemistry through hope and expectations as well as through exercise, calming practices, showing compassion to others and pursuing activities that bolster our motivation and sense of pleasure. Many people might be surprised to learn that we are not consciously aware of what is happening in the world around us in real time, even though our awareness of our external circumstances seems immediate. There is about half a second lag between receiving sensory input from the external world before we consciously and emotionally respond to current events. Our responses to our experience are strongly shaped by our underlying attitudes, or habitual ways of thinking. We have far more potential to consciously influence our ways of responding to potential threats and opportunities than we typically realize. This gives us scope to not only significantly improve our wellbeing, but also to further shape the ongoing development of neural pathways in our brain that underlie our habitual reactions to particular situations. Understanding these processes can enhance our relative sense of control in our lives. Our mind, which mediates our conscious reactions to what is happening in our lives, is not the same as our brain. However, our minds and our mental functioning are strongly based on our brain functioning and brain health. It pays to engage in vigorous physical exercise of around 45 minutes or so several times per week. Healthy diet assists the delivery of nutrients to our brain cells and removal of waste products, which helps us think more efficiently and effectively. Good sleep, as well as awareness of our characteristic patterns of higher and lower arousal throughout the day can also help improve our everyday functioning. Appreciating the wonders of neuroplasticity has a number of practical benefits, including in maintaining motivation. We now understand the link between establishing new habits and neuroplasticity. For example, we have long said that if a person alters their behaviour in any area for a few weeks they will have merely demonstrated a temporary capacity to change a specific behaviour. However, if an individual persists to alter a pattern of behaviour for four months, it could be said that they have changed a habit: most relapses to former harmful patterns of behaviour happen within that time frame. We now know that it takes ninety minutes to form a new synapse, or connection between brain cells; it takes four weeks to create a new neuron, or brain cell, and it takes four months for those neurons to mature. There is a clear overlap between the time required to establish a new habit, and the development of new neural networks. The bottom line is that it is important to maintain desired changes in behaviour for at least four months to confidently establish a new habit. If a person has been able to sustain change in a general pattern of behaviour for a period of two years or more, we could then say they have changed their personality functioning. The optimistic message is that initial steps can lead to effective and lasting change, based on our ability to rewire our brains right through the lifespan.